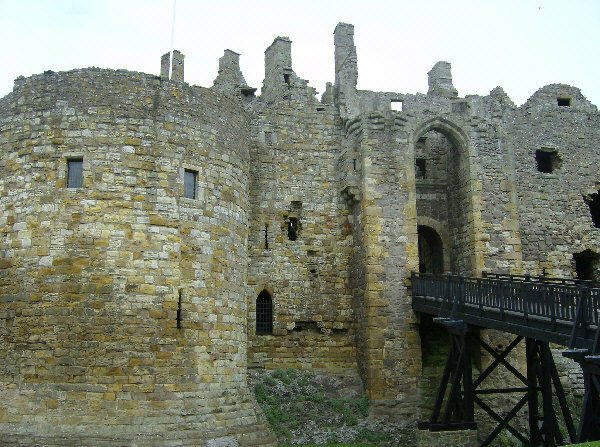 This is a photograph of Dirleton Castle showing the main entrance from the outside. Now standing as a ruin, Dirleton Castle has boasted a garden probably since its earliest days as a medieval fortified residence. Within the garden is a colourful blend of traditional formal gardens, manicured bowling greens and more contemporary plantings including the world�s longest herbaceous border.